Old school advertisement for a 1981 Datsun 210. 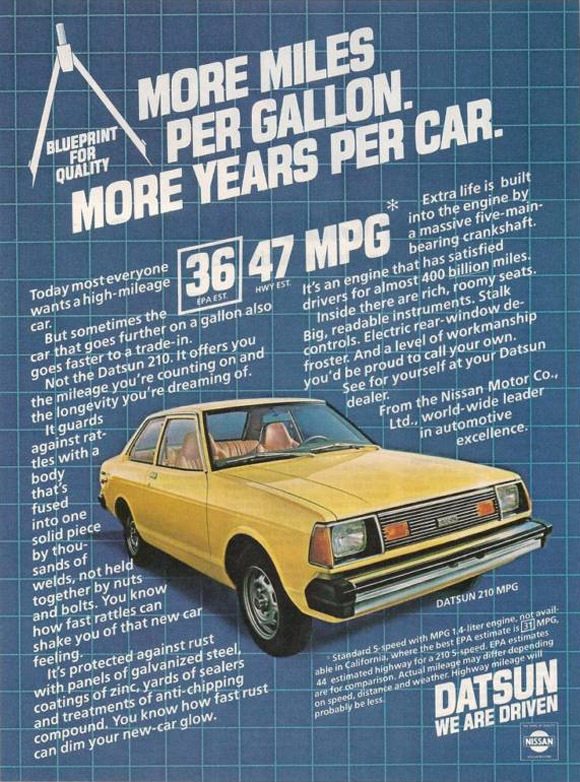 Car ad says the 1981 Datsun 210 gets 36 mpg in the city and 47 mpg on the highway. Proof that you should get yourself a vintage Datsun instead of a Prius.